Mutant Year Zero will be with us by Christmas, launching for PC on December 4th. The news comes via a new trailer that doubles down on the tactical game’s strongest thematic element: those anthropomorphic mutants. The short clip portrays, in somewhat graphic detail, the process of artificial insemination that leads to the creation of a humanoid pig capable of wielding a machine gun. In this case it’s Bormin, the talking hog who co-stars in the game alongside a top-hatted mallard named Dux. 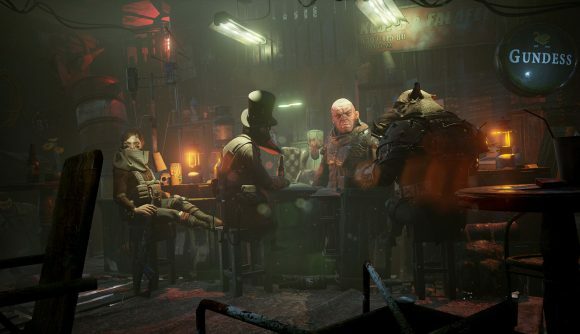 Mutant Year Zero: Road to Eden is a curious and exciting prospect: comparable to XCOM 2’s tactical layer, but with a real-time exploration phase that allows you to set up ambushes for patrolling guards with vision cones. It’s based on the tabletop game of the same name, but leans heavily into the playable animals added in one of its expansions. The mutations promise to be a crucial part of play, too. I’m a fan of the blurb on Mutant Year Zero’s Steam page. “Maybe one day you will find the Eden of legends, the ancients’ haven in the middle of hell,” it reads. “That’s where truth awaits, the stories say. Maybe you will find your answers there.